Thank you for sharing your review for Chateau La Mer 16A. We are so happy to know that you had an excellent stay with us for your first time visiting Destin, FL. We hope to see you again soon as our guest for your return to the beach, here in beautiful Destin, FL! Best location, clean, comfortable beautiful. I plan on staying there again next year. Great price also. Thank you for your review for Chateau La Mer 16A. We are very happy to hear that you had such a pleasant stay in this beautiful home and that you so enjoyed your beach getaway! We look forward to having you back as our guest again next year for another wonderful beach vacation stay with us here in beautiful Destin, FL! Chateau La Mer - Clean and Comfy - Short walk to beach. We enjoyed our stay and it was nice having restaurants within walking distance and just a short walk to the beach. The bed was very comfortable and the shower was spacious. Thank you for sharing your review for Chateau La Mer 16A. We are delighted to know that you all had a wonderful vacation stay in this beautiful home and that you enjoyed being near the beach! We hope to welcome you all back soon as our guests for another beach vacation stay with us here in beautiful Destin, FL! We absolutely loved our condo. Very clean and comfortable. We had a great experience from reservation to checking out. Harming walked us through with reminders and even a phone call during our stay. We will definitely stay there again. Thank you for sharing your review for Chateau La Mer 16A. We appreciate your kind words for our team here at Harmony Beach Vacations and we're delighted to know that you were pleased with our services! Thank you! We hope to welcome you all back again soon as our guests for another wonderful beach vacation stay with us here in beautiful Destin, FL! Our rental experience was without hassle. We could not have had a better time at this condo and in Destin. It truly felt like a home. 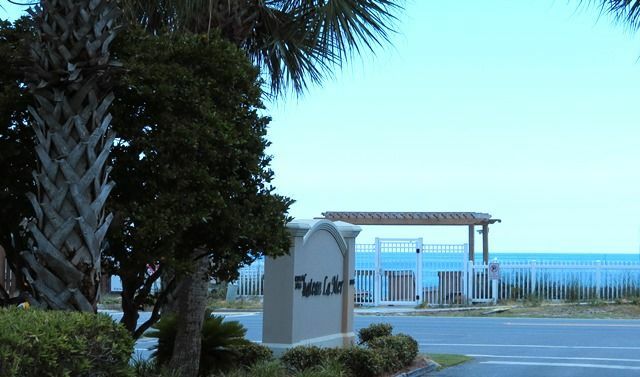 Thank you for sharing your review for Chateau La Mer 16A in Destin. We are pleased to know that you had a great stay in this beautiful home and that you felt so comfortable. We hope to welcome you back soon for another beach vacation stay with us here at your home away from home in Destin, FL! Excellent experience with Harmony Beach Vacation Rental! Very helpful and the place was immaculately clean and very comfortable!! Thank you for sharing your review of Chateau La Mer 16A. We are so pleased to know that you had a pleasant stay with us, and we're delighted to hear that you were pleased with our service! Thank you! We hope to welcome you back soon for another excellent beach vacation stay with us here in beautiful Destin, FL!